While the Palm Pre is certainly one of the best smartphones available – the question everyone wants to answer is: can it kill the iPhone? Or, short of outright death and dismemberment, can it at least capture some iPhone glory? The short answer is: not in a blue moon, but then the truth is Palm doesn't necessarily mean for the Pre to be a personal entertainment device. As we'll see, the Pre has the makings of a truly powerful business communicator. In fact, peek under the hood, there's a Texas Instruments OMAP 3430 processor, 8GB of internal memory, 802.11g Wi-Fi, and Bluetooth with A2DP stereo. What you'll discover is a capable mobile computer that supports multi-tasking, contact sync across multiple web services, and push email that could lead to swift adoption at companies both large and small, filling the void left by the popular Palm Treo from years ago. The real challenge then is that Palm needs to revive its lagging developer community – which is almost non-existent. While Apple continues to sell MacBooks and iPhones to the college kids and trendy/smart/cool-types, the reality with those who take computing more seriously is that the iPhone is a limited device – despite the fact that there are some 50,000 apps available for it. It doesn't multi-task apps (at least, not yet), only barely supports enterprise-class email, and has a clunky soft keyboard for typing longer messages. 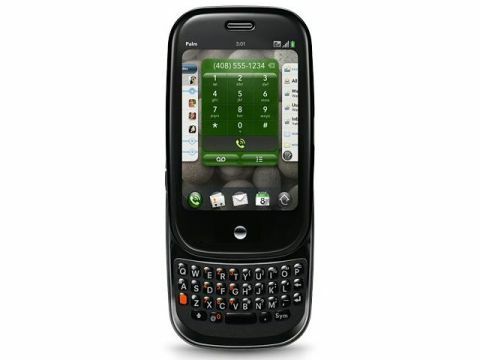 The Palm Pre has a true hardware keyboard and is designed to keep pace with big business in very tangible ways. It's a powerful smartphone that occasionally acts like a powerful computer – and shows amazing promise. Chats and text messages are combined into one view, making it easy to track down conversations with both business and personal contacts. EMAIL: Once you type an email into the Palm Pre, it recognises your Webmail service and starts syncing your mail.